Dreamy Slings Wishspace – Glow is a wrap woven out of the finest quality yarn with Oeko Tex Standard 100 ®. 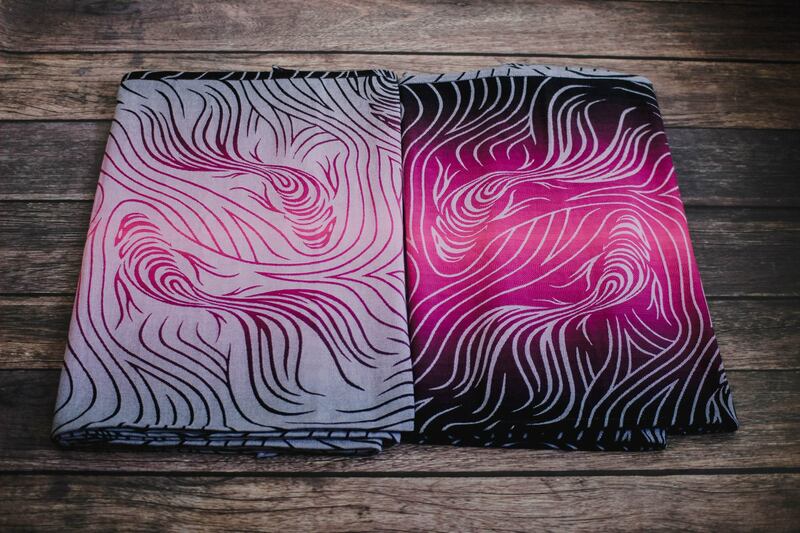 The wrap has a motif of extraordinary fishes flowing within waves. and healthy! Let the Wishspace – Glow wrap be Your talisman, which will make Your dreams come true ;). Wishspace – Glow is a 100% of beauty and softness and 100% of solidity and strength woven out of 100% combed cotton. Wishspace – Glow, thanks to their softness and plasticity, are perfect for wrapping up a newborn, and also thanks to their outstanding carrying capacity, they will carry toddlers as well. Wraps are unique – there are only 4 available! One of size 5, one of size 6 and two ring slings (2,10 m).